3 Bedroom Terraced House For Sale in Nottingham for Offers Over £250,000. This is your chance to acquire your dream family home. Bairstow Eves are proud to market this wonderful three bed room property situated in Mapperley Park. 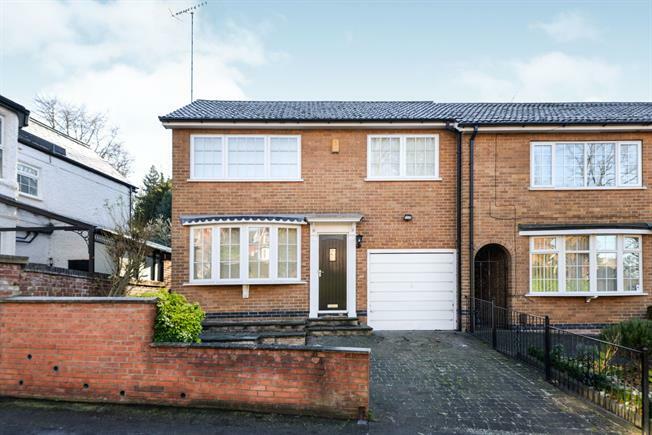 Approached from a very attractive driveway the ground floor of the property comprises of a a beautifully bright living room, a kitchen to the rear and a small entrance hall. The first floor of the property benefits from three very generously sized bedrooms and a family bathroom. Externally the property has an enclosed rear garden and driveway with garage. It needs to be viewed urgently.